With features like a natural ventilation system to cool the home and rainwater collection to supply plumbing, The Hut is completely eco-friendly in addition to being off-grid. There is no access to main electricity or water, so the minimalist structure relies exclusively on solar power. Rather than constructing on top of the building site as most projects do, the architects built the home to harmonize with its surrounding environment. While the sustainable and eco-conscious design is worth commendation alone, The Hut was also born from a unique emotional place as well. Architect Greg Dutton of Midland Architecture wanted to build a quiet retreat in his family’s forested property on their Ohio cattle farm, within an area filled with happy childhood memories of hiking and exploration. The land, which he and his family have owned and operated for 40 years, holds a nostalgic value that helps connect the home with the building site. Designed to appear as a treehouse, The Hut is elevated within the trees overlooking a lake through the use of concrete pillars at the edge of a small cliff. The position takes full advantage of exposure from the southern sun, helping to keep the home powered by solar energy. 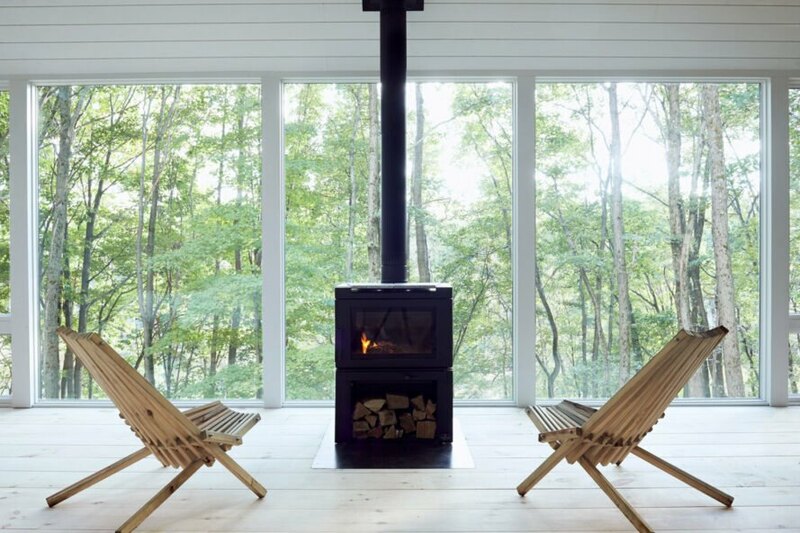 The floor-to-ceiling windows behind the wood-burning stove add to the lofted-in-the-trees effect. Though the natural cedar that tops the roof initially sticks out, with time and weather, the color will blend in perfectly with the surrounding forest. 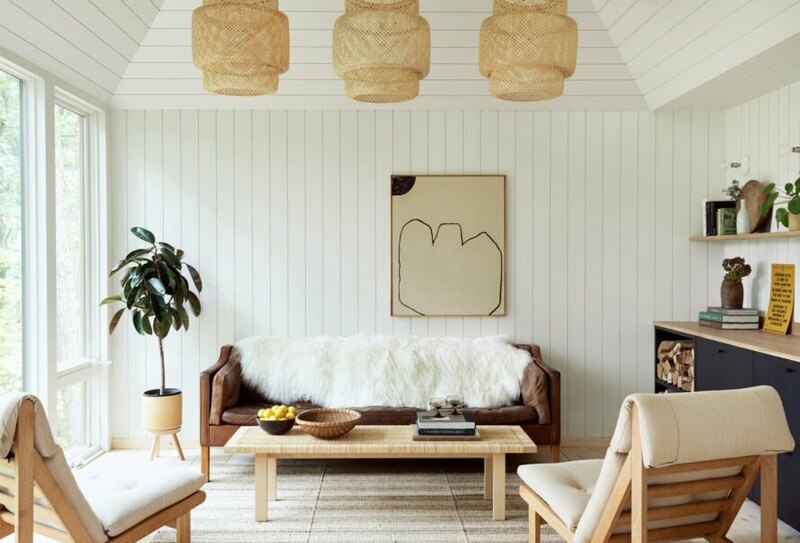 Inside, the floors are made of white pine and the wall/ceiling paneling of yellow pine, an homage to the Scandinavian and Danish architecture style that inspires a cozy atmosphere. The interior utilizes mostly organic light brown and white colors, with touches of black to add natural accents. There is a simple living space that connects to a kitchen, bathroom and sleeping area. The architect drew inspiration from the rustic and straightforward designs he grew up with in his farming background. 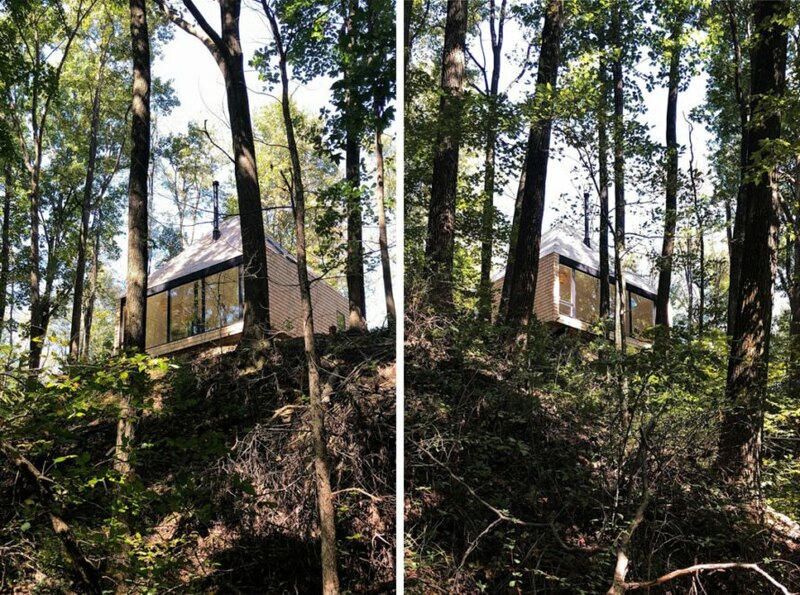 This lovely home in Ohio is inspired by treehouses. The home is designed by and for Greg Dutton of Midland Architecture. The building sits on land his family has owned for 40 years. 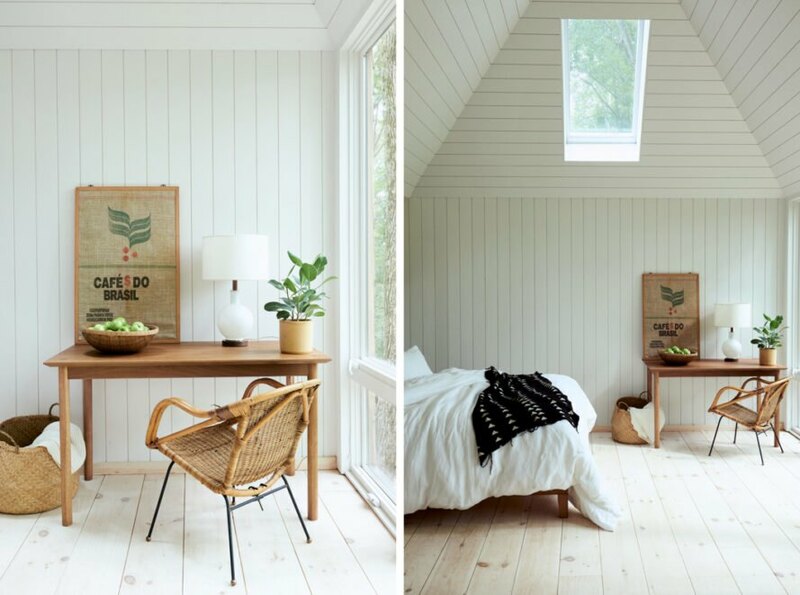 The interiors are cozy and inviting. Soothing colors and textures make the house feel like home. Each room receives an abundance of natural light. The home is perched on the edge of a cliff, making it feel as though it is lifted into the treetops. The home operates off the grid with solar power, rainwater collection and natural ventilation.